Firecrest Mountain Biking’s Young Rider Development Programme’s (DeVo) popular Half Term MTB Skills Training Courses (Level2) will be running at Aston Hill Bike Park on Thursday 25th October from 10am – 4pm. The Course is for Mountain Bikers aged from 12 years to 18 years old looking to develop their Mountain Bike Skills. 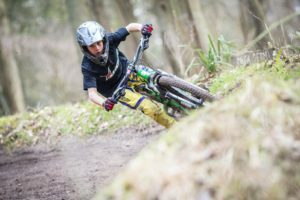 This entry was posted in Courses, DeVo, MTB News, School Holiday Activities and tagged Aston Hill, DeVo, MTB. Bookmark the permalink.